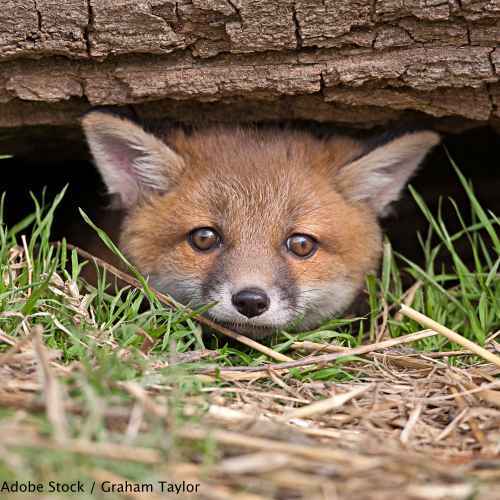 Urge Prime Minister May to uphold the fox hunting ban and force Andrea Leadsom's resignation as Environmental Secretary. In July 2016, Prime Minister of the United Kingdom Theresa May appointed Andrea Leadsom as her Environmental Secretary, a post-Brexit move that has infuriated environmentalists across the globe. Leadsom lacks what The Guardian cites as 'top-level political experience, absence of track record in farming or environmental areas and ideological approach to policy.' Leadsom, in 2011, backed the government's proposed policy to sell off of Britain's forests to the highest bidder. Until October 2015, when as Energy Minister she addressed a parliamentary fracking group, Leadsom was confused as to whether or not climate change was a real thing. It became apparent in March 2016 that her confusion hadn't cleared, as she voted against the development of a strategy for carbon capture and storage for the energy industry, a technology that can prevent up to 90% of carbon dioxide emissions from entering the atmosphere. Leadsom has even expressed her support for a repeal of the fox hunting ban, which was put in place in 2004 to end the gruesome practice of hunting foxes with large groups of trained dogs. Someone that supports such inhumane and environmentally jeopardizing practices should have never been appointed to a position as crucial as that of Environmental Secretary. Not pre-Brexit, not post-Brexit, not ever. Prime Minister May and her cabinet must acknowledge that environmental issues are fluid and cannot be isolated to just one nation. They must acknowledge, then, that Andrea Leadsom's uninformed stances as Environmental Secretary are a danger to the future of Britain and the planet's climate as a whole. Sign below for Prime Minister May to force the resignation of Environmental Secretary Leadsom. The decision for Britain to leave the European Union is monumental and unprecedented, and it is for that exact reason that I write to you: the recent decision to appoint Andrea Leadsom as Environmental Secretary threatens to undo the enormous impact of previous environmental legislation enforced by the European Union, and severely endangers the people of Britain and the environment for years to come. For decades, the EU has been responsible, as you know, for roughly 80% of current environmental legislation in Britain and has helped position Britain as a nation on the precipice of becoming a green leader: the Bathing Water Directive has made it so that 95% of Britain's beaches are now swimmable, increasing not just tourism and quality of local life, but ocean sustainability; the Landfill Tax has driven 45% of Britain's population to recycling, up 33% from just thirteen years prior; the Clean Air Directive aims to combat the 40,000 early deaths caused each year in the UK by air pollution. From her 2011 support of the selling off of Britain forests, to her admitted confusion of whether climate change is a real thing, and, finally, to her appalling stance on fox hunting, Andrea Leadsom has clearly shown that she is not the right person to continue these upward trends. She has no track record with such issues, nor does she seem to have a fundamental understanding of what environmental issues Britain, or the world, currently faces. She simply is not fit to be the Environmental Secretary. To benefit all people, wherever it is they call home, I urge you and your cabinet to force the resignation of Andrea Leadsom as Environmental Secretary, and to approach the search for her replacement delicately, with the planet in mind. Remind me to click daily at The Rainforest Site (manage and customize your newsletters any time). That's 6,016 signatures! Let's keep the ball rolling.